You are here: Home / Provisional Patent Application / What is a Provisional Patent Application? A. Provisional patents are part of patent process as per laws of many countries. A provisional patent application forms crucial part of patent strategy as it provides significant advantages to inventors and patent applicants. Patent laws across multiple jurisdictions provide requisite legal provisions for filing provisional patent application. For example, under US Patent Laws, the U.S. Patent and Trademark Office (USPTO) allows the inventors to file a preliminary patent application, known as provisional patent application. Once filed, the invention can be labeled as “Patent Pending” and the inventors obtain a “Priority Date”, as established by the patent office. The inventors or patent applicants usually get a time period of 12 months to file a non-provisional patent application after filing a provisional patent application. In India, non-provisional patent is referred to as a complete patent application, as defined in Indian Patents Act, 1972. 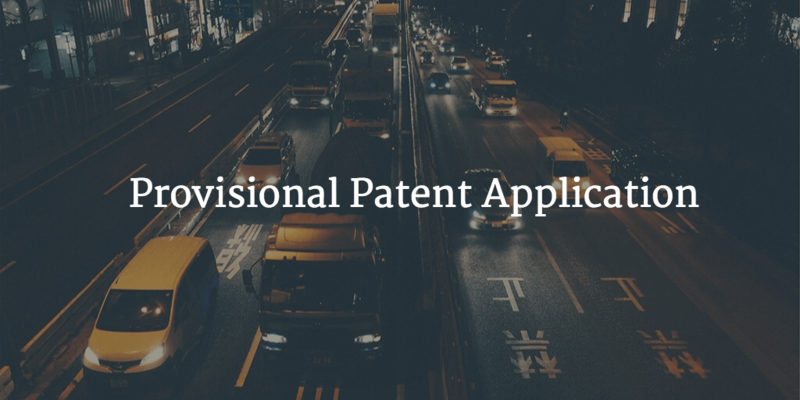 Generally, provisional patent is applicable for utility patents only, and not for design patents. Provisional patent provides a simple mechanism to obtain a priority date without filing a formal patent specification that usually includes detailed description, formal patent drawings and complete set of patent claims. The major requirement of provisional patent application is that it should set the scope of claimed invention, which in other words imply that the corresponding non-provisional patent application cannot have broader scope than that defined in the provisional patent. Therefore, it requires skillful and comprehensive disclosure to be included in provisional patent, giving due consideration to prior art and focusing on novel and non-obvious (inventive) aspects of the invention.